We’ve found great deals at 5577 hotels! Sichuan Minshan Hotel, located in the center of Chengdu City, is one of the hotels that enjoy the unique geographical advantages. It only takes 25 minutes for you to take a bus from the Hotel to Shuangliu International Airport, and 20 minutes from the Hotel to the north and east railway stations, respectively. The starting station of shuttle bus to the airport is just beside the lobby of the Hotel. Moreover, it only takes one minute for you to walk from Exit C of Jinjiang Hotel Station of Metro Line 1 to the Hotel, and 10 minutes to walk from the Hotel to Yanshikou CBD, Chunxilu CBD or the famous Divine Sun Bird in Tianfu Square, or to drive a car or take a bus from the Hotel to the well-known tourist attractions Kuan Alley and Zhai Alley, Wuhou Temple or Jinli Ancient Street. You will enjoy the comfort brought by the favorable geographic location. With various uniquely-designed guest rooms and suites, the Hotel can meet all of your demands. 100M high-speed internet is available in every room; shower bath and special mattress with healthy sleep certification are also provided for you to experience comfort and convenience. Dining rooms in different styles are set in the Hotel. Gigi Cafe on the 1st floor provides Chinese and western buffet all the time, Minxuan Chinese Restaurant on the 2nd floor provides special Sichuan and Cantonese cuisine, and The River House Western Restaurant on the 21st floor provides private ordering service, where you can enjoy delicious food in the sky garden in the city center while enjoying the beautiful scenery, and this makes you experience a wonderful travel of cate. 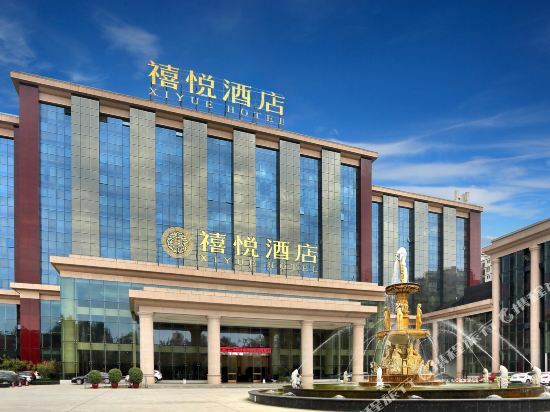 The Gold Crape Myrtle Hotel (Chengdu Jinziwei Jiudian Yinzuo) is located in central Chengdu, just a short distance from Metro Line 2. It will take approximately 25 minutes to reach Chengdu East Railway Station by car, or 35 minutes to reach the airport. Guests can enjoy both Chinese and Western cuisine at the on-site restaurants, or head to the lobby bar to unwind with a drink. Business travelers can make use of the multiple meeting rooms, as well as the services of the business center. Guests will find it easy to relax with a swimming pool, sauna and beauty salon all available. This Chengdu hotel provides free in-room Wi-Fi access. The Chengdu Tibet Hotel (Chengdu Xizang Fandian) is popular as a point of departure for flights into neighboring Tibet. Designed to five-star standards and sponsored by the Tibet Autonomous Region government, the Chengdu Tibet Hotel has been specially designed to provide a full range of services for trips into Tibet. 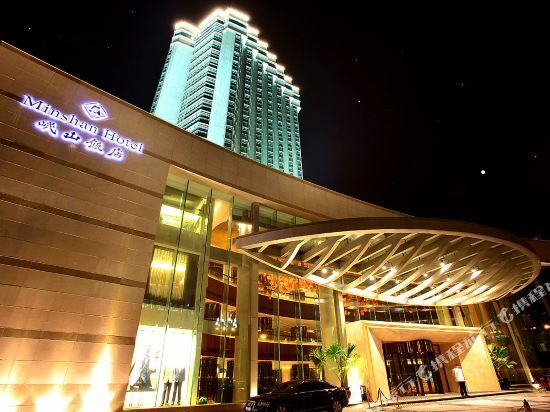 The building stylistically evokes Lhasa's Potala Palace and houses nearly 300 guestrooms, including deluxe suites and superior rooms, a business center, travel desk, shopping center and a recreation center. 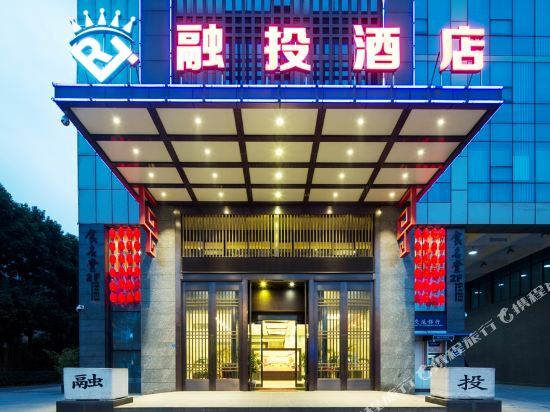 Celebrity Ruicheng Hotel Chengdu (Chengdu Ruicheng Mingren Jiudian) is located in the Luoma financial and business center circle, convenient to shopping and dining venues. The guestrooms are equipped with flat-screen LCD TVs. The restaurant mainly offers Cantonese dishes and numerous choices for recreation are available. 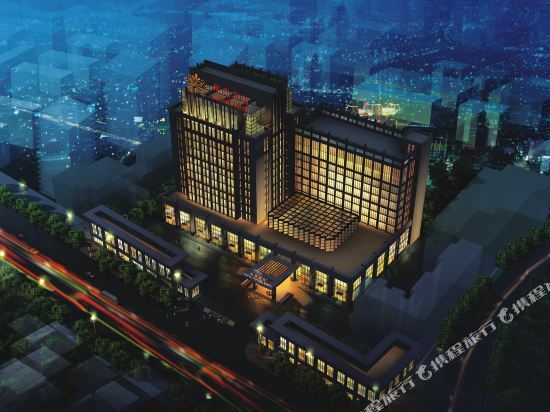 The Haoge Business Hotel (Chengdu Haoge Shangwu Jiudian) is built for international tourists. Uniquely designed, the hotel is close to Chengdu's best tourist attractions and is only five minutes from Tianfu Square. The airport is about a 30-minute drive away. 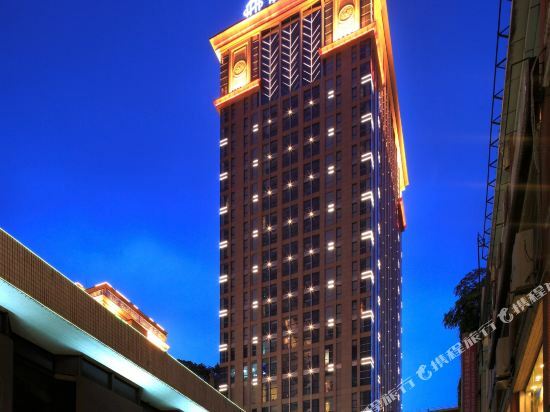 The Chengdu Xinliang Hotel (Xinliang Dajiudian) is located in the downtown area, close to Tianfu Square. This Chengdu hotel features 345 guestrooms and suites, all of which offer IDD-telephones, individual climate-control systems, satellite TVs, mini-bars and 24-hour room service. Free broadband Internet access is also available within the hotel. Guests may make use of the hotel's six function rooms and its comprehensive business center which provides photocopying, ticket reservations, email, fax and secretarial and postal services. Dining options include a lobby bar and tea house, a Western restaurant and a Chinese restaurant serving Sichuan and Cantonese dishes. Recreational and leisure facilities include a sauna and massage center, bowling alley, gym and beauty salon. Chengdu, the ancient and mysterious capital city located in the center of Sichuan, is the core of the province’s politics, economy, and culture. According to the excavation of the Jinsha Ruins, the history of Chengdu can be traced back to 3,200 years ago. It is interesting to note that although the city has a long history, it has never changed its name. The city has many elements that make tourists fall in love it, such as delicious food and beautiful scenery. It may not be until you’re on your way out that you’ll discover the meaning of Chengdu’s slogan for tourism - "The city you won't want to leave." In the hearts of tourists, Chengdu has a long history, spicy food, and a slow paced lifestyle. But at the same time, Chengdu is also a city that does not lack the beauty of juxtaposition - it’s also well known for its prosperity and fashion. Even if tourists come and go in a hurry, the locals still shuttle between teahouses and hot pot restaurants and live life at their own pace. Chengdu is the capital of ancient Shu Kingdom and home to many tourist attractions. At Wuhou Temple, Lau Kwan Cheung and Zhu Geliang are honored. The ancient temples and stone carvings there seem to take people back to the Three Kingdoms era. Du Fu’s Thatched Cottage, another attraction, was the residence of Du Fu when he was residing in Chengdu. By the Huanhuaxi River, there is a thousand years of history relating to poetry. The Jinsha Ruins on the outskirts of the city unveil the ancient Shu culture one thousand years ago. The inner circle of Xincheng District is the center of Chengdu and is home to Wuhou Temple, Wide and Narrow Alleys, Chunxi Road, Qingyang Palace, and many other attractions and shopping streets. The giant panda base can’t be missed either. Xiling Snow Mountain is a good place to head to for those who enjoy skiing. The Jianchuan Museum on the ancient town of Anren is worth a visit as well. Around the northwest of Chengdu, there is the World Heritage Site of Dujiangyan. Near Dujiangyan, there is the Mount Qingcheng. To the southwest, there are world cultural and natural heritages: Mount Emei and Leshan Giant Buddha. Most visitors choose to spend 3-5 days in Chengdu. Two days can be spent visiting the panda base and ruins museum in the suburbs; 1 day can be spent exploring local Chengdu snacks on the streets. If you want to visit the scenic spots around Chengdu, Mount Qingcheng as well as the Dujiangyan Irrigation System and Mount Emei and Leshan, each pair of attractions takes about two days. The best times to visit Chengdu are from March to June and from September to November. Rainfall is not often seen during these periods, and the temperatures are mild. In addition to the above two periods, visitors can also consider visiting the summer resorts such as Mount Qingcheng in the summer and go skiing on Xiling Snow Mountain in the winter. 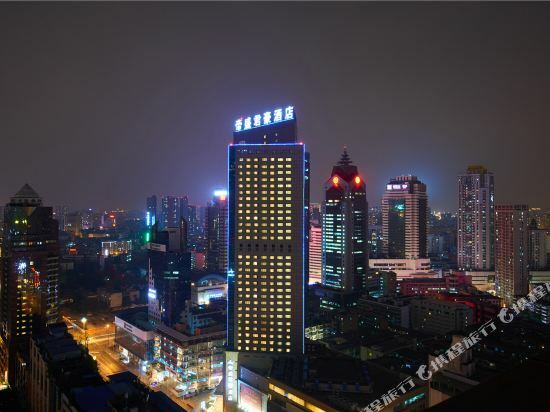 Chengdu has a prosperous economy and there are a lot of accommodation options in the city. Whether it’s a youth hostel for backpackers, a business hotel that is economical and fast, or a five-star hotel in a tall building, there are all types of hotels in Chengdu awaiting your visit. If you’re traveling during the winter or summer vacation or around the Chinese National Week holiday, it may be hard to reserve a room in a youth hostel. If possible, it’s best to make hotel bookings around a month in advance.